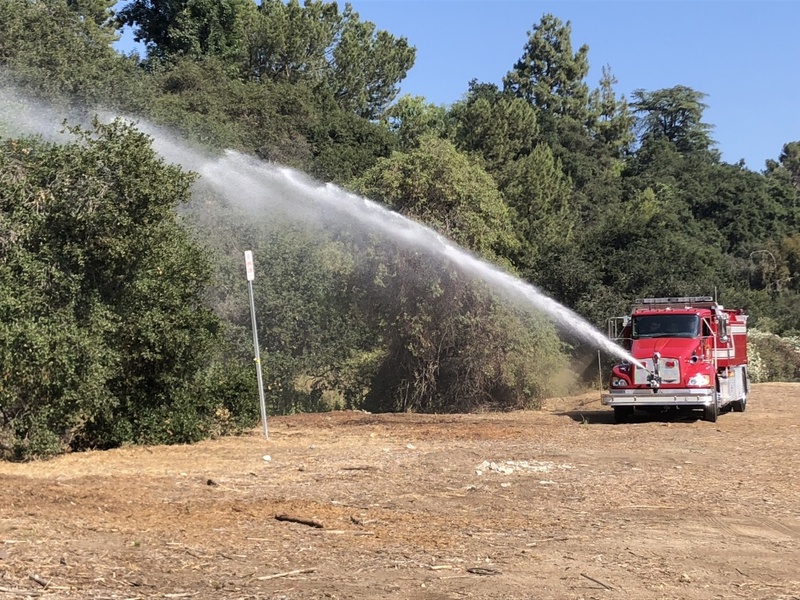 Firefighters spray fire retardant on brush near Rose Bowl to prepare for fireworks. The weather forecast this week shows high winds, high temperatures and low humidity. That means critical fire danger. With the Fourth of July on Wednesday, neighborhoods throughout L.A. County are stressing the importance of firework safety.